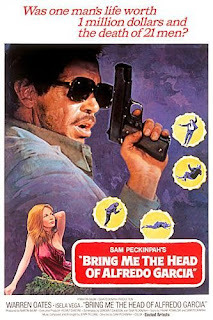 One of Needtovent's favorite movies is BRING ME THE HEAD OF ALFREDO GARCIA. Directed by the incomparable Sam Peckinpah in 1974, the film was recently selected by none other than Stephen King as one of his favorites also. Needless to say, during the course of this often-overlooked gem poor Alfredo's noggin receives more abuse than the average Comal County taxpayer. 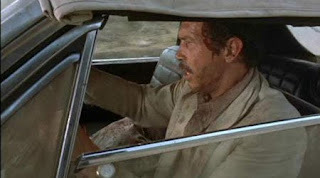 But when it comes to depraved head games, Peckinpah is more than trumped according to a recent article by Nathaniel Vinto, a New York Daily News Staff Writer. Since we at Needtovent can not possibly embellish the shocking revelations presented by Mr. Vinto we have elected to simply re-print just some of what Vinto has written. In "Frozen," Larry Johnson, a former exec at the Alcor Life Extension Foundation in Scottsdale, Ariz., graphically describes how "The Splendid Splinter" was beheaded, his head frozen and repeatedly abused. 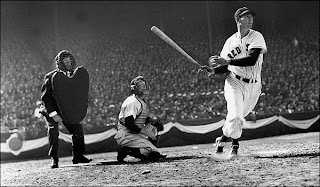 Williams' severed head was then frozen and even used for batting practice by a technician trying to dislodge it from a tuna fish can. 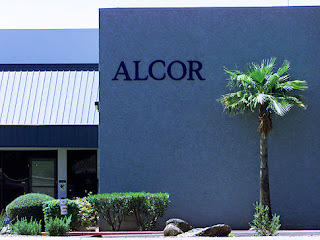 The chief operating officer of Alcor for eight months before becoming a whistle blower in 2003, Johnson wrote his book while in hiding, fearful for his life. 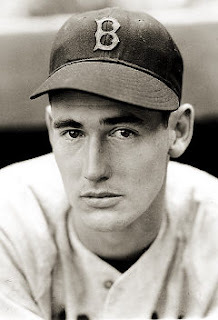 Nothing in the book is as gruesome as Johnson's descriptions of what happened to Williams' body after it was sent to Alcor at the direction of Williams' son, John Henry Williams, who died of leukemia in 2004.